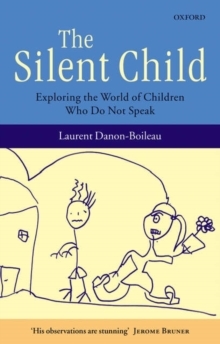 Language expert and psychologist, Laurent Danon-Boileau, has spent a lifetime trying to release silent children's ability to communicate. 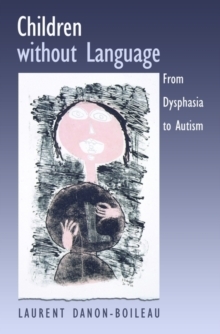 This book describes his treatment of six patients, all of whom were able to begin normal schooling after treatment: it is a landmark in the field. Children who speak late are a source of anxiety to parents and evoke conflicting responses from professionals. Professor Danon-Boileau argues that language disorders are too often considered from the perspective of either psychology or neurology and that the key to understanding lies in investigating the interactions of developmental, social, and neurobiological factors. The Silent Child allows the reader to meet the children as they are gently guided by the author towards communication, first without language, using toys and games, and then gradually to the ability to talk.